The Anvaya Cove Morong is a leisure community development brought to you by the Ayala Land Premier, and it is the company’s first venture on this type. The Anvaya Cove offers beach and nature club and golf and sports club aside from a serene community. The enclave is set within “a mountain near the sea”, a truly unique blend of grandiose living in-between the works of nature. This magnificent and distinct topography enables nature seekers to have both mountain reprieve and a seaside resort as a living environment. The project is located near the North Luzon Expressway (NLEX) and the Subic-Clark-Tarlac Expressways (SCTEX), specifically in Morong, Bataan overlooking and near Subic Bay. The project sits on 470 hectares of rolling terrain with 3.5 kilometers of coastline having the highest elevation at 130 meters above sea level. The stunning mountain ranges of Bataan and the crystal clear waters of Subic Bay are in combination of the Asian Tropical inspired homes inside the Anvaya Cove, carefully planned and built amid the teeming abundance in forestry, wetlands, water features and the finest amenities and facilities typically Ayala Land’s. A truly brilliant enclave! No matter where you sit or rest, or who you speak to, family is mentioned. And everywhere you go within the Anvaya Cove complex of over three hundred acres, surrounded by splendiferous natural landmarks, located within a remote tract of the Philippine Galapagos, thoughts and concerns over family abound. The family theme is firmly rooted in this holiday oasis. The entire complex’s luxuriously appointed suites amenably accommodate families with young children in tow. No room space is left to waste. Anvaya Cove is the result of Ayala Land’s first serious venture into bringing family and friends together and much closer to nature. Ayala Land is the Philippine’s leading developer of property that focuses on retail, commercial and business use, as well as residential and recreational accommodations. After perusing Anvaya Cove’s policy on corporate and communal responsibility, you are impressed on how it resonates fully with its parent’s own corporate identity and long term goals. Communal responsibility, already making provision for family, extends to staff and its guests, in how they respond and react in regard to environmental awareness, nature conservation and sustainable developments. Three key aspects of Anvaya Cove’s contribution towards sustainable development are conscious and careful utilization of the natural coves’ water resources, energy savings across the complex and recycling wherever possible. The parent in this case, of course, is Ayala Land. And one of the youngest children born into the Ayala family is Anvaya Cove. Here is a brief overview on how both parent and child complement each other in regard to sustainable development and environmental awareness. More walking, less driving – Ayala Land is headquartered in Makati, a busy and heavily congested hive of central business district activity. Architectural developments in urban environments have encouraged more walking with easy access to public transport networks and retail and leisure destinations. Ayala’s eco-friendly pledge – The resourceful utilization of all raw materials required for construction purposes alongside that of efficiencies to do with energy and water use, is evidence that this pledge is being carried out. Anvaya Cove’s contribution to the environment – A number of codes govern this. These include active conservation of both energy and nature, and the active and pivotal promotion of living the green life alongside that of being physically active in order to promote health and wellness. Also foremost in the mind and lives of all staff members at Anvaya Cove is the ongoing practice of utilizing water resources responsibly and recycling waste as efficiently as possible. And, of course, these conscious habits rub off well on the resort’s loyal members and guests. Long before signing up as members, tourists and locals from the Philippines are made well aware of what they can expect to experience. Located advantageously between two majestic mountain ranges, it became fortuitously possible for the developers to place special emphasis on exploiting natural location and its surroundings through the creation of numerous water sports themes for members and guests and the laying out of a pristine, yet exercise-oriented nature trail. Everywhere you go; active engagement with the natural elements is encouraged. This fits in well towards purposely promoting health and wellness among all guests. Mental stimulation is a key component of wellness for the human being. Is it any wonder then that the locals are passive and engaging as the perfect hosts of Morong, Bataan. Sports in the sea and sand – Apart from just relaxing, no guest of honor can say that he or she did not have anything active with which to engage in on the beach. The list of water sport activities is endless, and these are just a few of them; pedal boating and kayaking, snorkeling and wakeboarding. For those less inclined towards being physically active, they have speed boat tours. Everything is about nature – Guests can take part in long walks along trails that have been deliberately placed as close to nature as possible. This allows them to take in all the natural wonders, all well-preserved and unharmed. A fitness trail is also prevalent with no less than twelve stations on which different exercise disciplines can be carried out. Four featured restaurants offer its patrons as wide a variety of menu choices as possible. Not only that, seated guests can have their pick of local cuisine in order to inveigle themselves of a truly authentic experience. There is more than enough room for everyone and dining is encouraged across large, sheltered verandas from which majestic sunsets can be viewed. The Bamboo Café entices its guests towards as many aspects of Southeast Asian cuisine as possible. Buffets along with live entertainment are appropriately themed. The Pawikan Beach Bar and Grill offers its guests a panoramic view of the natural cove. Freshly caught fish suits the shoreline occasion, but those who wish to indulge in more meaty fillings can have their pick from specially flavored barbecue spreads. The Tower Bar leans more to the sundowner. Light aperitifs as well as crowd pleasers in the form of the resort’s trademark burgers are also on the menu. The Sunset Bar, you would think, speaks for itself. But in all cases, family participation is encouraged and the venues are ideal for hosting private functions such as weddings and anniversaries. By enticing families to visit their resort, you do not expect its managers, supervisors and friendly, polite and responsible staff members to exclude the children from the holiday experience of a lifetime. And what if moms and dads wish to spend a bit of private time alone? More importantly, events and facilities are apt for the children. They can have fun on the beach making their own sand castles. And a child-friendly zipline has been prepared for children under the age of twelve. Ayala Land Anvaya Cove in Morong, Bataan, Philippines is a premier House & Lot project available for sale. If you're looking to rent or purchase Anvaya Cove, then check here first. We have full details of Anvaya Cove updated regularly as well as everything you need to know about the availing and booking process, broken down into stages that includes selecting a unit, choosing a payment plan and buying your dream home at the right price. For price list, free site tripping or showroom visit, personalized service, model house, unit plans, floor plans, payment terms, CHAT LIVE with an agent 24x7. We are Remax Perfect Homes. Always only buy from PRC licensed Real Estate Brokers and Agents. Morong in the province of Bataan is a gleaming municipality and is home to the Subic Bay International Airport where it is considered as the secondary airport and a main diversion hub for the NAIA (Ninoy Aquino International Airport) in Pasay City, Metro Manila. The town is only 141km by road from Metro Manila and air travel is only 60km. On the northeast, 90km away, is Angeles City in Pampanga, home to the Diosdado Macapagal International Airport (formerly Clark International Airport), the second busiest airport in the country next to NAIA. 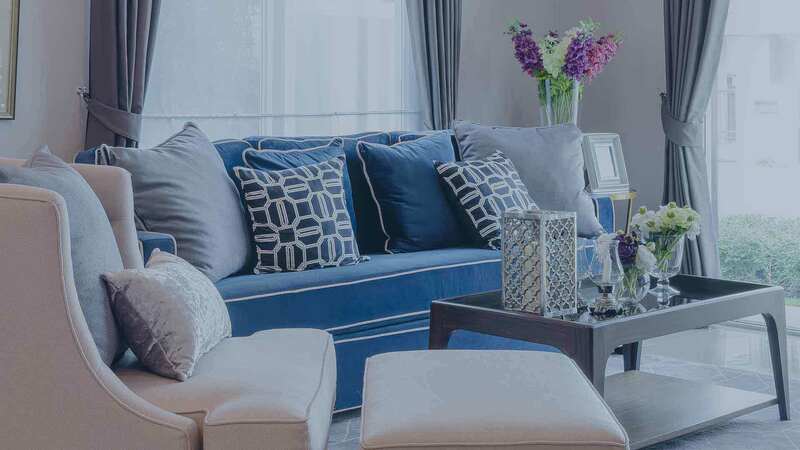 The project’s proximity to Angeles City, where it is becoming the technological hub of Central Luzon and where most of the Clark Freeport Zone is stationed, Morong is a better alternative as a residential dwelling for expats, professionals and their families. Being near to most business areas, investing in the Anvaya Cove is a long term endeavor where infrastructure development is becoming rampant within its immediate locality and growth is undeniable. When you invest in your home, you are not only investing for you and your family’s future but also for the generation to come. Being here is being near all opportunities and chances for potential growth. The Subic Bay Metropolitan Authority (SBMA) is a multi-billion peso Philippine government agency task to oversee the development of the Subic Bay Freeport and the Special Economic Zone in Bataan and in Pampanga. The agency builds a self-sustainable area along the bay promoting commercial, industrial and investment that includes the financial aspect of the trade in the zone. The proximity of the project’s site is a big advantage for those who want to take a piece of the pie (whether in employment, business dealings and others) in this government’s gargantuan project.